We're the experts in pest control. The feral pigeon is a common pest problem in cities and towns the world over, and Geelong is no exception. The pigeon is often the subject of call-outs to pest control companies who provide netting and another repellent, deterrent and control techniques. Flocks of pigeon pests make themselves at home in our Geelong schools, factories, and buildings, causing damage, noise, and transmitting diseases. The pigeon can live to age 30 in captivity, but three or four years in the wild. The feral Rock Pigeon (Columba livia – often called the ‘feathered rat’, though some pigeon racers prize the bird for its homing ability and speed) originated in the Eastern Hemisphere where they were domesticated. English settlers introduced the pigeon into Australia, and now populations of escaped domestic and racing or homing pigeons have become firmly established as a pest problem that requires netting, and another deterrent, repellent and control measures. 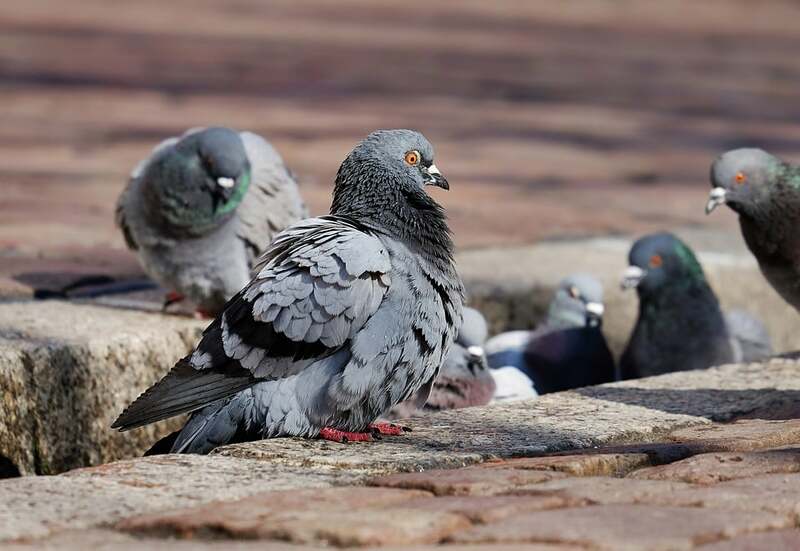 If you have an infestation of feral pigeon pests and need the service of a pest control expert in Geelong, call Acacia Pest Control and a pigeon pest specialist will apply repellent, deterrent and control measures to deal with the problem. Why Are Pigeons So Harmful? Do You Need a Pigeon Control Expert? Do you have a serious pigeon problem in your Geelong workplace or home? If so, you’ll need a pigeon control deterrent, repellent, or netting solution to your problem. Solving pigeon pest problems are as important in the homes of Geelong as they are in any commercial setting. 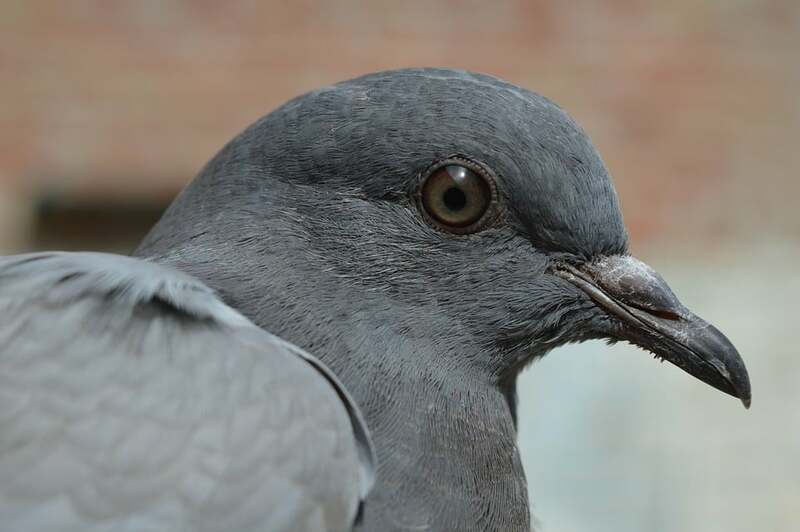 So, call Acacia Pest Control today, and our pigeon control expert will identify the feral pigeon that’s commonly found in Geelong buildings and homes, and we’ll deal with your problem professionally and effectively. At Acacia Pest Control Geelong we keep abreast of all the latest pigeon control innovations including repellents, and deterrent methods. We have professionally trained netting installers who provide services in all pigeon pest management solutions. Pigeon flocks attract rats, ticks and cockroaches. Damage monuments and buildings because their acidic droppings are corrosive. Damage property by roosting and breeding in rolled steel joists, roof spaces, and inside factories. The debris from pigeon flocks builds up and blocks gutters and drains causing roof damage and damage to other structures, and their nests are a potential fire hazard. Pigeon flocks damage air-conditioning units and other machinery on rooftops. There are major hygiene problems caused by pigeon droppings in or on commercial, industrial, and domestic buildings. 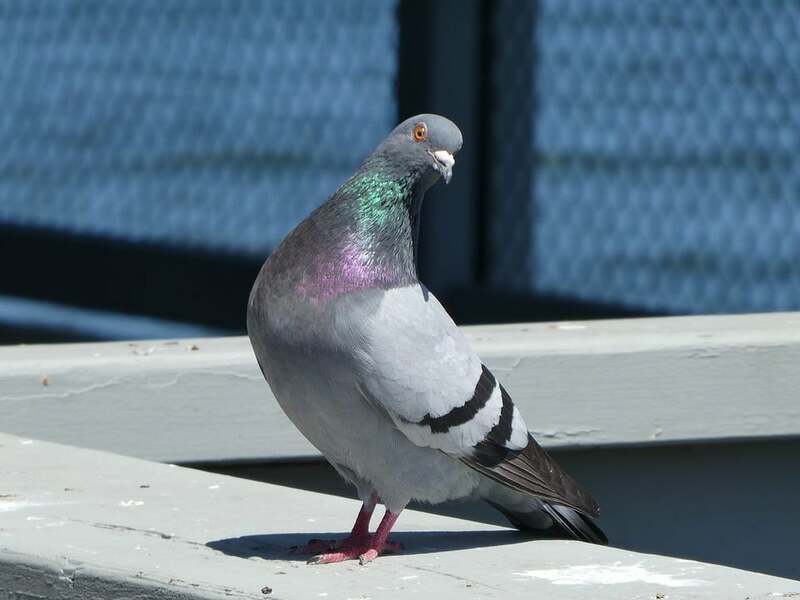 Pigeon flocks can bring in weeds and disease via their droppings. Pigeon flocks increase the risk of parasite transmission and disease between populations of domestic, feral and seabird communities. Public liability insurance costs are escalating because of injuries caused by people slipping on build ups of pigeon droppings. As a deterrent to a pigeon pest, make sure you minimise any food waste, especially if you run a Geelong restaurant or serve and cook food. Make sure food is stored well, and spillage is kept to a minimum. Also, remove any pigeon nests you might find on the building. Pigeon nests are made of just a few hard twigs but this pest is persistent, so you need to regularly destroy nests and employ other control and deterrent methods. For advice on pigeon netting, repellent and deterrent methods, call Acacia Pest Control Geelong. At Acacia Pest Control Geelong, we strive to be the best at identifying, qualifying and delivering pigeon netting, and another deterrent, repellent, and control methods – our pigeon experts have solutions that go beyond our customer’s expectations. Once you realise you have a pigeon pest problem in your Geelong home or business premises, you should take action to deter the pigeons from perching, nesting and roosting at night on or inside your building. If you don’t act as soon as you realise you have a problem, things can escalate quickly, and you then have a much larger, more costly pigeon problem to deal with. In most cases, corrective netting, and other deterrents, repellent or control methods will mean your property is pigeon-proofed for the long term. 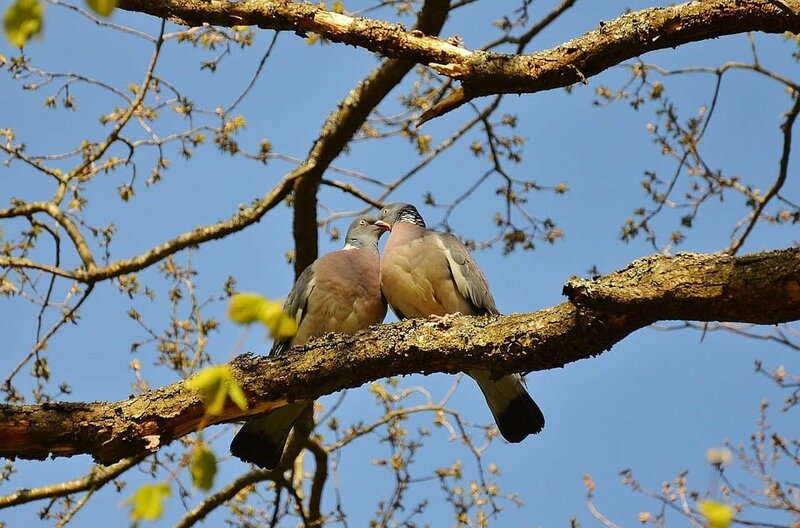 At Acacia Pest Control Geelong, our professional pigeon pest specialists know all there is to know about pigeon habits, breeding, and behaviour and can provide highly effective netting, deterrent, repellant and control methods. Netting: Professional netting systems are designed for Australian and New Zealand industrial and commercial buildings and applications. The nets are low visibility, durable, and come in a variety of mesh and net sizes. Warranty of 10 years but should last much longer. 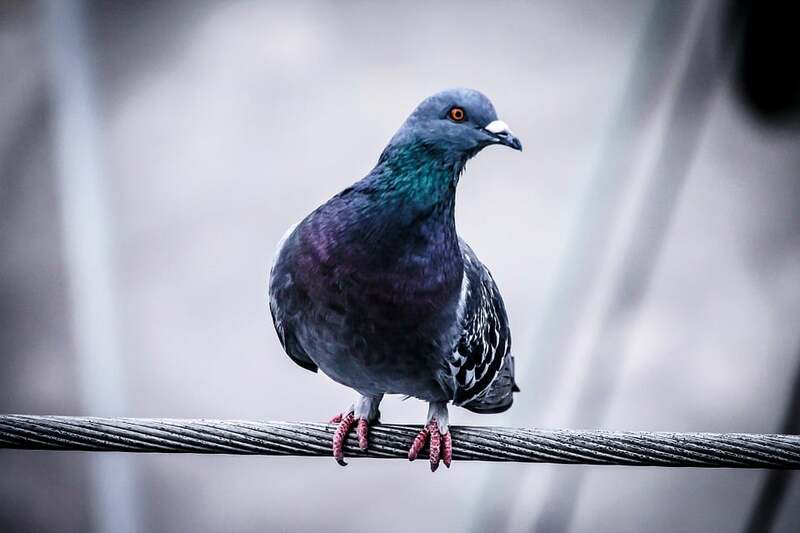 AVEPRO Wire System: A discreet, durable and versatile pigeon pest deterrent ideal for ledges, pipes, parapets, exposed roof ridges, and other narrow parts of a building. They’re constructed from nylon-coated stainless steel and come with a 10-year warranty, but should last longer. Bird Spikes: Stainless steel spike designed to deter pigeon pests and other pest birds – they’re sturdy and fit for Australian conditions. The spikes will hinder pigeons from perching and nesting on roofs, parapets, ledges, beams, and numerous other parts of buildings. Warranty of 10 years, but should last longer; five in salt water areas. AVEPRO Shock Track: The electrified shock track is a powerful pigeon deterrent and is the least visible of all the bird repellent and deterrent techniques. These have a 10-year warranty and should perform for many more years. If you have a problem with a population of any kind of pigeon pest in or around your Geelong home or yard, company offices, or other business premises, and want to be rid of it, call Acacia Pest Control on 1300 257 774 today or send an email to info@acaciapestcontrol.com.au.